2.Select the Map you want to download and “right click” on it. 4. To use gmapsupp.img maps, simply copy the “gmapsupp.img” file to your Garmin. The Garmin device loads a single map file called “gmapsupp.img”. This file must be in a directory called “Garmin” on the SD-card (so the full path is “Garmin/gmapsupp.img”). If the “Garmin” directory does not exist on the SD-card, you will have to create it. There can only be one “gmapsupp.img” file, so if the map is distributed as several .img files you will need to merge them together – this can be done with the mkgmap command “mkgmap –gmapsupp mapA.img mapB.img mapC.img […]”. These devices can load multiple “*.img” files. As with older devices, they must reside in a directory called “Garmin” on the SD-card (so the full path is “Garmin/*.img”). If the “Garmin” directory does not exist on the SD-card, one must be created. Though there is no particular requirement to do so, when maps are distributed as multiple “.img” files, use the mkgmap command “mkgmap –gmapsupp mapA.img mapB.img mapC.img […]” to combine them into a single file. This makes it easier to enable and disable the map in the the on-device “Setup|Map|Map Information Select Map” menu. As there multiple “.img” files are permitted on the device, it is relatively simple to load more than one map set on the device. When loaded as individual files, each map may be individually enabled and disabled from the on-device “Setup|Map|Map Information Select Map” menu. It can be convenient to have the ability to enable and disable individual maps. When multiple “.img” files are installed on the SD-card, it is difficult to differentiate them in the device menu when they all have the default “OSM Street Map” name set in the “.img” file header, but it is relatively simple to edit the on-device name. See the What if I have an existing gmapsupp.img file paragraph on the OSM Map On Garmin page for detailed information on how to do so. The GPS maps for Garmin devices from OpenStreetMap are published under the Creative Commons Attribution-Share Alike 2.0 (CC-BY-SA). These files are converted to the Garmin .img format. All Garmin GPS maps are routable. 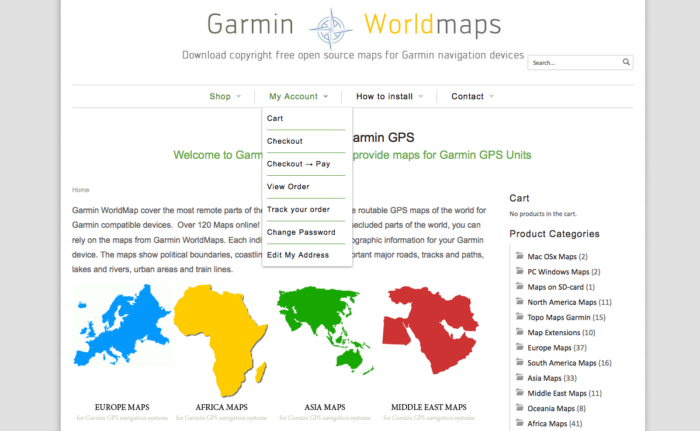 The maps are stored in a zip file containing the .img file for Garmin devices.